Posted By Nathan On April 24th 2015. Under Blog Tags: engineering objective statement, engineering resume objective statement, mechanical engineering resume objective statement . Not everyone believes that objective statements on our resume are still relevant; they argue that they’re outdated, boring and that no hiring manager wants to read them. But if you’re applying for a position in engineering, your engineering objective statement is important. In fact, it’s pretty much essential. The point of an engineering resume objective statement is to clarify your career goals, show your knowledge, and demonstrate that you are the right candidate for the job. If written well, your engineering objective statement can be incredibly effective, and it could be the difference between you landing a job interview and your resume heading straight for the “no” pile. It might be easy to assume that hiring managers will be impressed by a vast objective statement that is full of lofty ideals and grand ideas. You might – wrongly – believe that by writing at length, you’re selling yourself because you’re showing off your skills and experience, and you’re doing it in a very grand way. But you’d be wrong. Hiring managers do not want to read a HUGE objective statement that goes on forever. If it looks like it’s going to take up a lot of their time, they’re going to pass. Instead, your mechanical engineering resume objective statement should be the bait they’re looking for. It should reel them in by being short, snappy and to the point. It should tease them with bits and pieces about yourself that makes them want to read on. Rather than revealing everything about yourself immediately in one huge paragraph, you should instead give them little bits about yourself. Your engineering resume objective statement will be the first thing that hiring managers see, and for this reason it absolutely has to set the tone for the rest of your resume. Remember the adage that first impressions are important. If you get off on the wrong foot with your objective statement, you’ll be sealing your fate and the hiring manager will not continue reading. In this sense, your engineering objective statement acts as a weapon. It’s your chance to grab the hiring managers attention and show them you’re the one for them. By giving them something they want to read, you’re taking control of the situation and convincing them to read on. Without an objective statement, the next best thing to set the tone is your education. And if your education is not brilliant, it’s going to be a damp squib. Key to writing an effective resume for engineering is coining a structure or template that gives it direction and cuts out any rambling. For example, you could begin by introducing yourself and what you do, before talking about the role you are applying for. Next, you could write a sentence that details your relevant skills and knowledge before setting out what you will bring to the company. The structure is simple, to the point, and ultimately means that you won’t end up writing too much. If you’re writing a resume for engineering jobs then you need all the help you can get to make the best first impression possible. 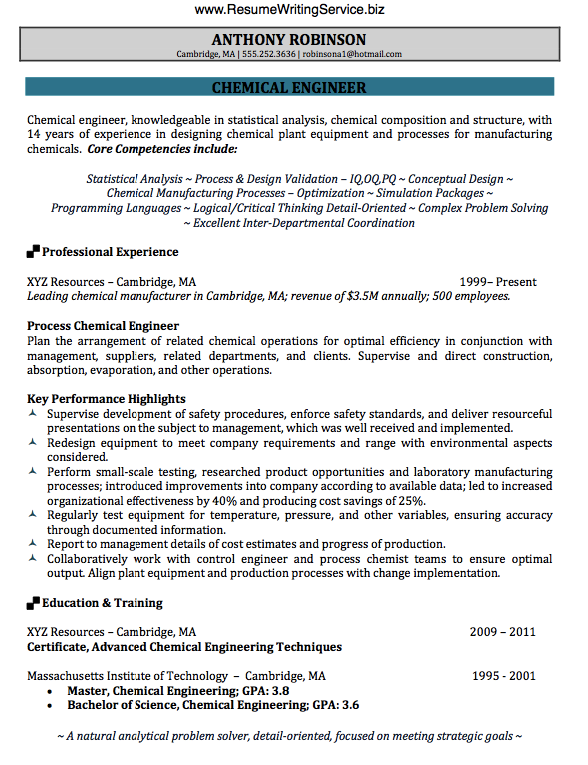 Check out our services to help create a resume for engineers. A resume for engineering is an absolute necessity when it comes time to find your next engineering job, but what sets a resume for engineers apart from other kinds of resumes? If you’re confused or unsure about how to write your resumes for engineers then try our resume for engineering writing a service, a service all about making it easy for engineers to find the jobs they want through resumes that are tailor-made for their industry and profession. A resume for engineering manager positions needs to stand tall among the competition and our specialists and experts know just how to make you stand out among the crowd. We know just how to craft a resume for engineers that shines, and that’s why our resume for engineering service has been so successful. Trust in our specialists to fashion you a resume for engineering that will get you noticed because of your accomplishments, experience and education. We can make any level of professional from any background within engineering get noticed. Contact us today and find out how resumes for engineers are being polished until the gleam with our excellent services. 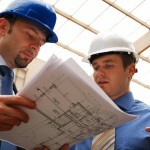 We trust that you’ll notice the difference resume for engineering services can make in your life. Our service on resumes for engineers is all about you, the customer, and helping you achieve the goals that you want more than anything else. A resume for engineer positions needs to be crafted carefully and with great attention to detail, and that’s why our experts are always ready and waiting to help clients of all stripes throughout the engineering world to make the very best resumes available anywhere. Contact us today and find out how resume for engineering services can help you reach that next level in your career. There are many careers that require hard work, intelligence, and persistence, but engineering trumps nearly all of them. Becoming an engineer is not easy, and if you want to pursue this profession you need to get yourself a great education. Engineering school is one of the tougher programs to try and get into, and if you are targeting an elite program it is more important than ever to prove that you have what it takes to succeed. When you want help with the engineering resume you want people you can trust, and that is what our engineering resume writing service offers. Our professionals are waiting to give you excellent assistance, and we won’t stop until your resume is perfect. It is important for someone seeking a job in any profession to put together an effective resume, but engineering raises the stakes in this regard. This is a competitive profession where you need to demonstrate as many skills as possible, and that is why it is so important to put together a great resume. Our engineering resume writing service is a notch above the others because we don’t rush through your resume; our experts take the time to look at your entire portfolio and see what you have to offer. We are the best engineering resume writing service because we don’t stop until we are sure you have the best resume, and our qualified writers do everything they can to tweak it to perfection. Unlike other engineering resume writing services, we truly care about your future. Our professionals don’t just write an excellent resume that takes time and effort to compose; we also ensure that there are no possible errors in spelling, grammar, and content information. When you place an order with us, you get a free editing and proofreading with your engineering resume writing. That is what separates us from the rest, and when you come to us for help with resume writing for engineers you also get a great price. No service can match our low prices and high quality, and that gives you every reason to let our professionals take your career to the next level. We know that your career is important, so let us give you the best resume writing service on the web for a great low price. Order your new nurse resume for $119.95 95.96* only now!